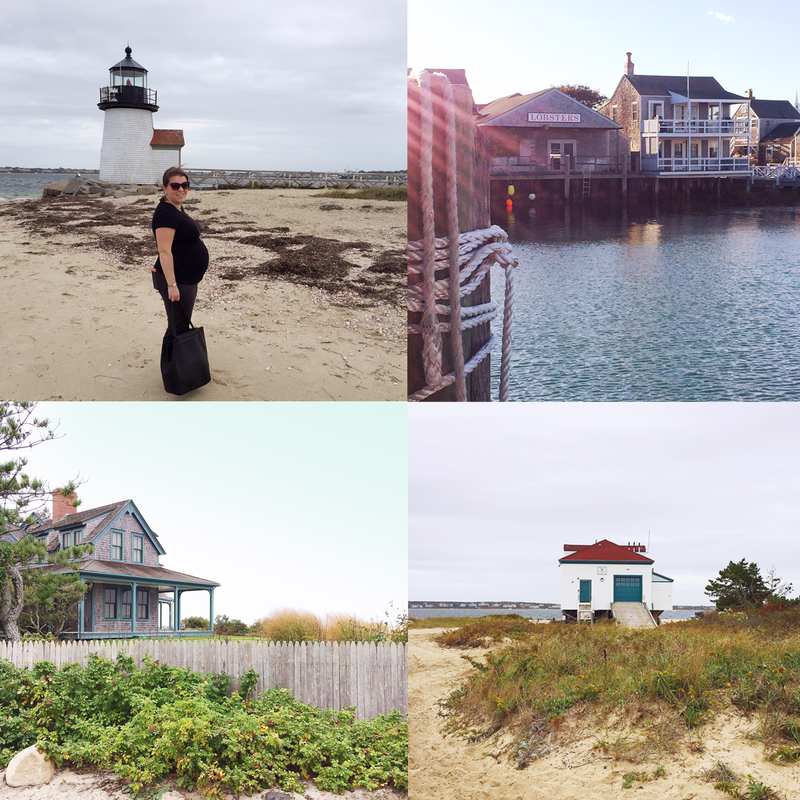 Almost a week later, a little recap of our babymoon adventure on Nantucket seems fitting, because I’m heading into this weekend thinking about what an amazing relaxing time we had and how grateful I am for the getaway! We were lucky to catch some unseasonably warm weather last Friday, paired with a few crisp cool fall days the rest of the weekend — the best of both worlds! 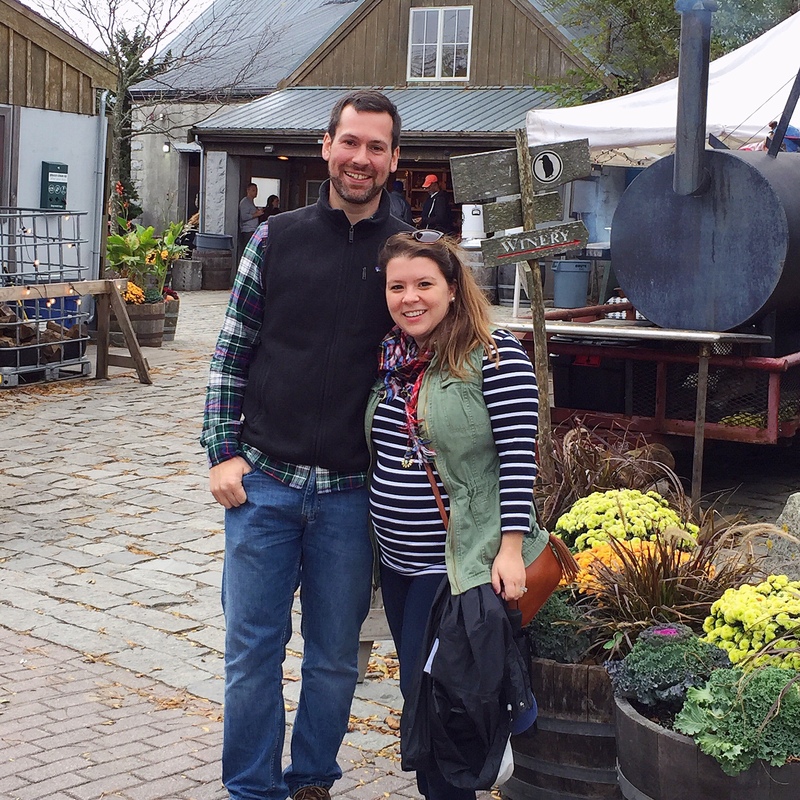 It gave us some time to stroll out the beaches and lighthouse, while bundling up in our autumn-best for an awesome off-season day at Cisco Brewery. Pregnant lady at a brewery you’re wondering? With live music, bowling, pumpkin carving, and a BBQ pig roast going on, I almost didn’t miss the beer tasting (almost!). 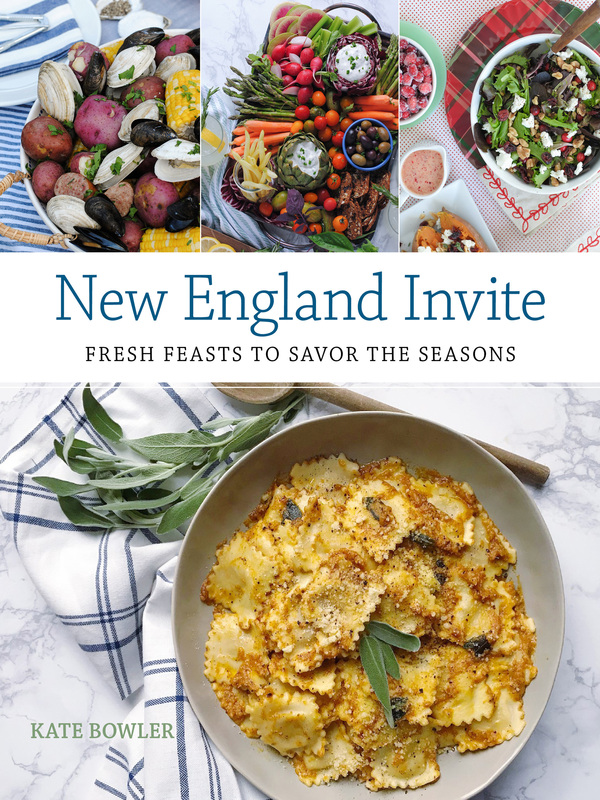 One of the perks of heading to Nantucket in the off-season is end-of-summer sales at all of the island’s darling shops and reservation-free enjoyment of a lot of the best restaurants. Just about every shop that was still open (and I was surprised at just how many were still open!) had a 40% off sign hanging in their windows and drew me in to buy a few treats for me, the baby, and even some early Christmas shopping! We enjoyed a few amazing dinners — the first night we had a great meal at Station 21. I’d been eager to try Ventuno after hearing rave reviews about the modern italian cuisine and it lived up to the hype. A week later I’m dreaming about the local honey drizzled whipped ricotta crostini, and homemade pappardelle pasta with tomato braised lamb sauce. Since I wasn’t enjoying my usual vacation cocktails, I more than indulged on desserts too — homemade bittersweet chocolate filled doughnuts, with coffee gelato and chocolate sauce made me very happy! 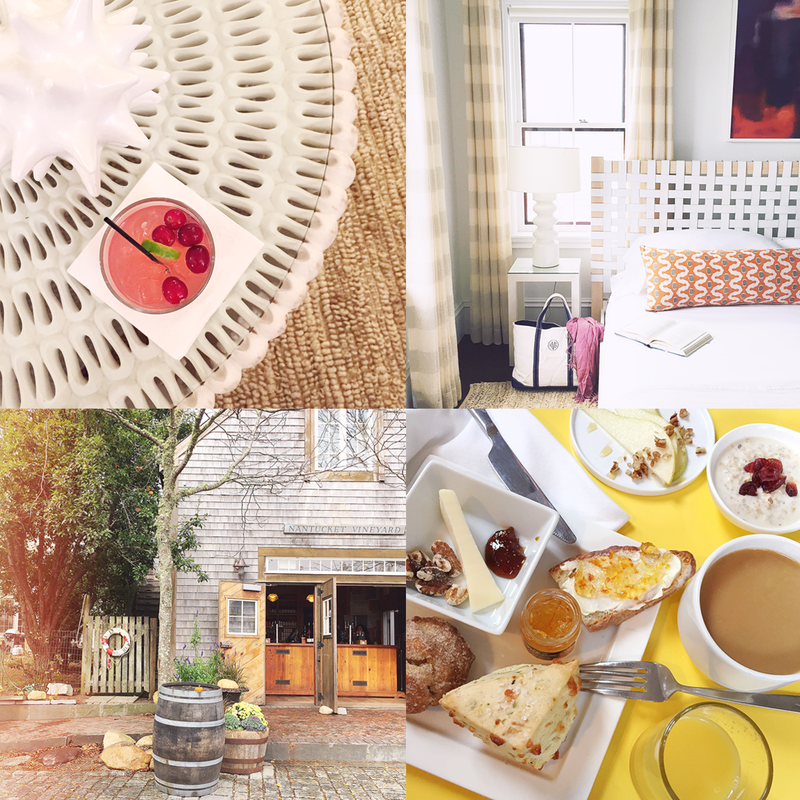 We stayed at Lark Hotel’s 21 Broad property and our two nights there more than contributed to that feeling of complete and utter relaxation. They have the coziest beds, welcomed us with chocolate fudge brownies and warm salted chocolate chip cookies (clearly the way to my heart right now), and it’s so much fun to hang out with board games and happy hour drinks and a good book in their lovely lounge area. 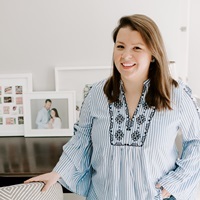 I also am a huge fan of their breakfast spread — a tapas-style take on breakfast small plates. We had homemade scones both mornings that they two us talked about all day long, yum! It was a great little getaway to rest, reset, and spend some time together before holiday madness starts and baby girl arrives! Already planning our next trip bACK! Please note: We stayed at 21 Broad compliments of Lark Hotels, all opinions and images are my own. Stroller and Carseat Research. Creamy Autumn Squash Soup. One Response to "Nantucket Babymoon."